And We're in! A Tour of our House | Come take a look! 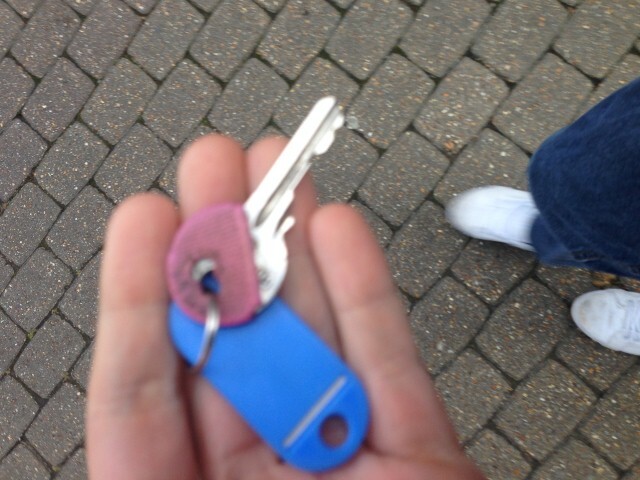 Well on Friday 26th September 2014 we moved in to our new home together. I picked up the keys from the estate agents early evening and we both did a car journey each full of essentials for the evening. We ‘camped’ the first night on a blow-up bed… which was fun and games to say the least. (Ended up sleeping on the floorboard by 4am as the ‘popper’ came out.) The whole weekend was hectic but we managed to get the move done over the course of the weekend with the help of renting a van. We had an amazing amount of help from family, including my Mother, Alex’s Mum and Dad, Alex’s Sister and my Brother. All helped come do a stint on either the Saturday or Sunday at-least. So a huge thank you for your time and help with helping us to settle. – We even had time on Sunday to start decorating! 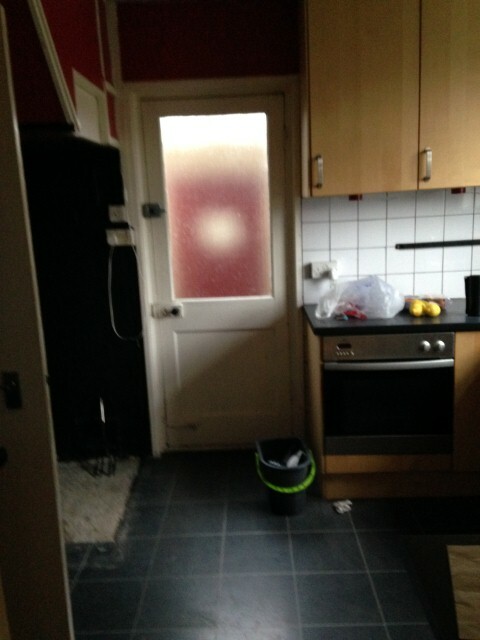 Alex and her Sister Jo had the unthinkable of cleaning the kitchen from top to toe and all their hard work paid off! 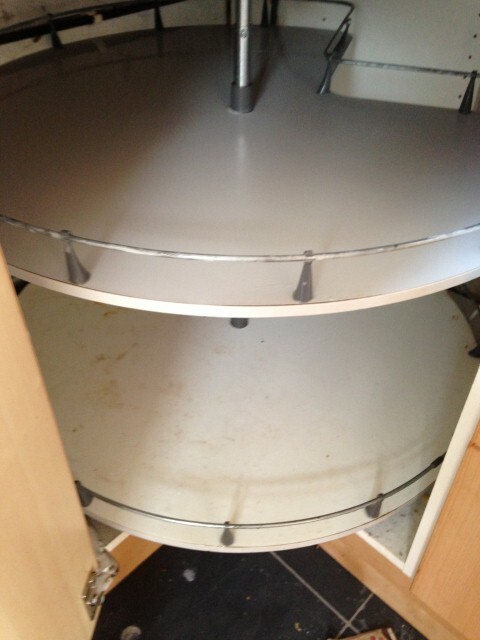 There must of been a centimetre’s worth of grease and old food debris on the inside of the cooker, hobs and surfaces. But with the help of some great products like Oven Pride’s Bags and Mr Muscle’s Oven Cleaner even the hygiene standards would of given us a 5 star rating. Whilst ‘Kim and Aggie’ were cleaning the kitchen my Mum (Christine) was upstairs cleaning the bedrooms as well as the lounge. Just before we get started, I want to say a huge thanks to everyone who helped us over the weekend, also not forgetting my Dad (Keith) & Step-Mum (Sandra) for the two sofas and tumble dryer! (photos to come!). Reg & Lorraine (Alex’s Parents’ Neighbours) for their old Fridge, Freezer, small table & chairs and the cookery & cutlery sets. Mum & Step-Dad (Ken) for the ladder, cleaning products and Dyson hoover. Alex’s parents (Katherine & Mark) & sister Jo for borrowing their tools like the lawn mower and decorating tools to help get the house in a liveable state. The front door is actually dirty, but this photo makes it out to be clean. However I’ve cleaned the inside of the front upvc (PVCu) door using a cleaner called Thompsons. 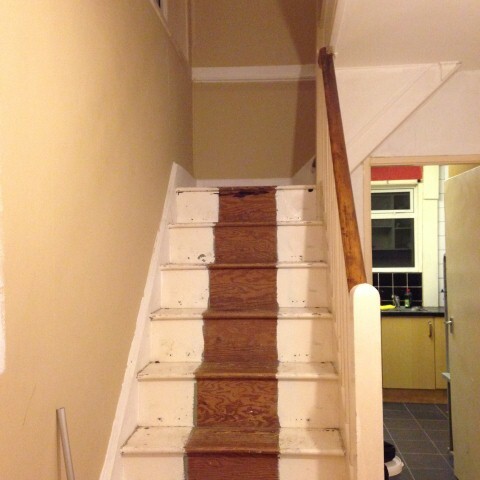 Easily available from stores like B&Q for no more than £7. – Worth it as I’ll be doing all the windows later on. This is the first room we’ll be starting on as it’s the first room you step into from outside the house and we just want to get that feeling that everytime you leave or enter the house it feels complete. 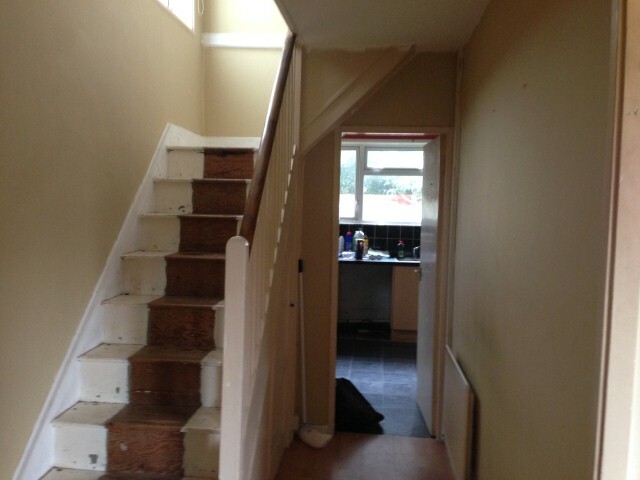 We’re currently in the middle of preparing and painting areas and have decided to go for ‘Soft Almond’ colour. 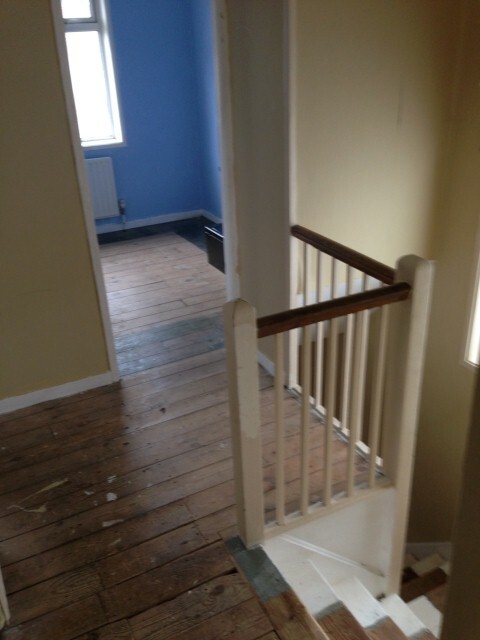 The banisters, skirtings and door frames are heavily covered in several layers of white glossy which needs to come off. 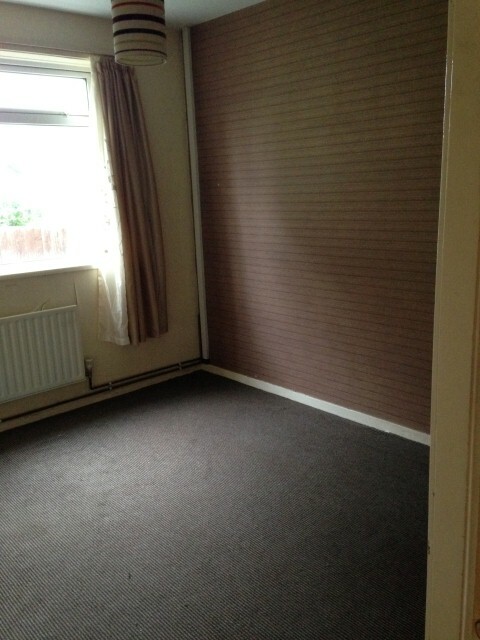 Comes with nice wooden flooring (not well put together though) which we’ll look to carpet at a later date. Again all the rooms you can see are heavily wallpapered. 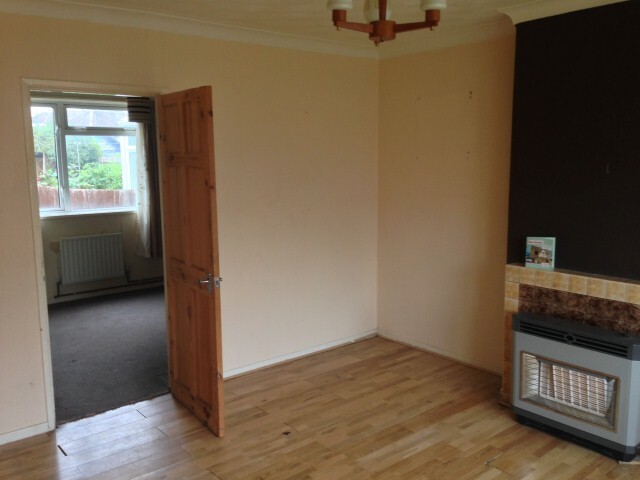 We’re going to remove the Gas fire(it’s broken anyway) and try and make something of the fireplace (tiled) behind and paint it and make it a feature with the little budget we have. Our smallish box shaped dining room. Could get a table in here that’ll easily fit 6 people around so not a bad size. Currently used as our ‘inside utility room’ for the time being. And the wallpaper has been stripped off the first weekend we moved in by Alexandra’s niece, Brooke. 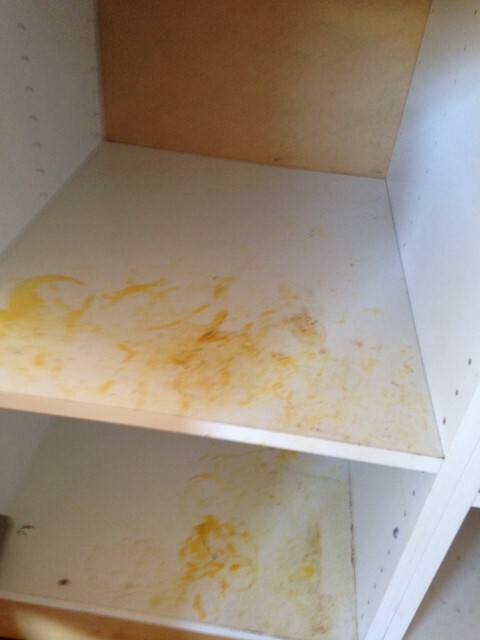 The kitchen photos (bar the inside cupboards) make it out to be clean. 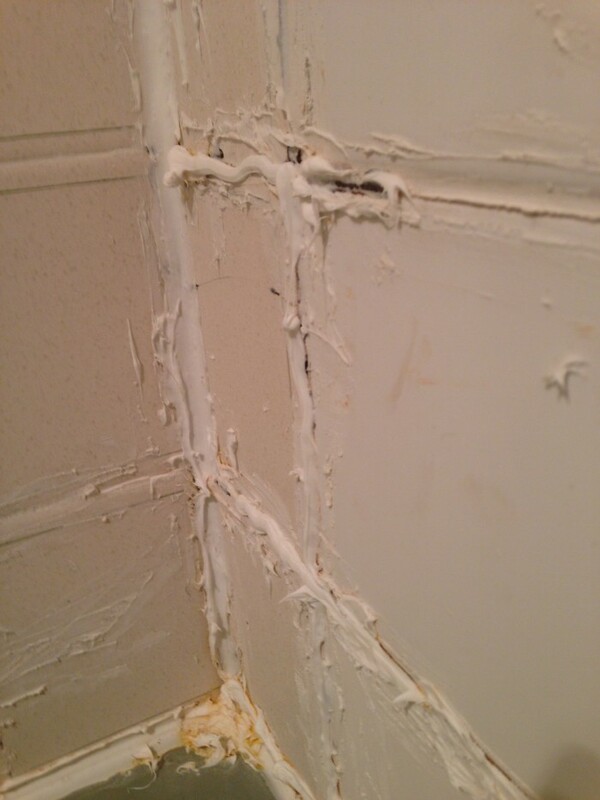 But there was about 5mm of grease and grime all over the units, plug switches, light switches and tiles. Nothing Mr Muscle and a steam cleaner couldn’t sort out though. 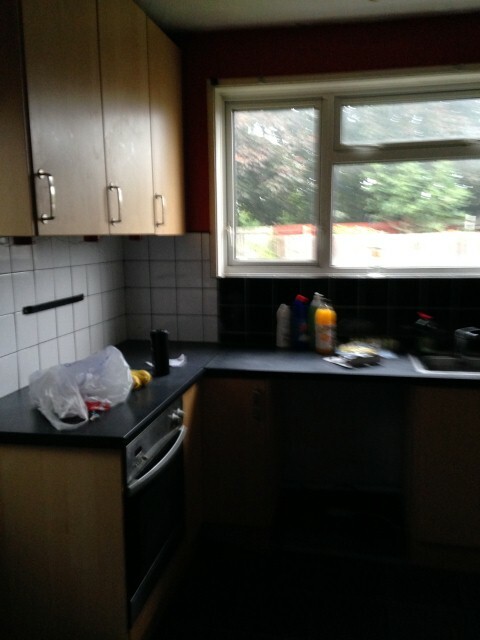 The kitchen we’ll leave until last to sort out. After a good clean it’s in good condition, ofcourse there’s some patching up to do with fixing things here and there but what room doesn’t need a bit of TLC? 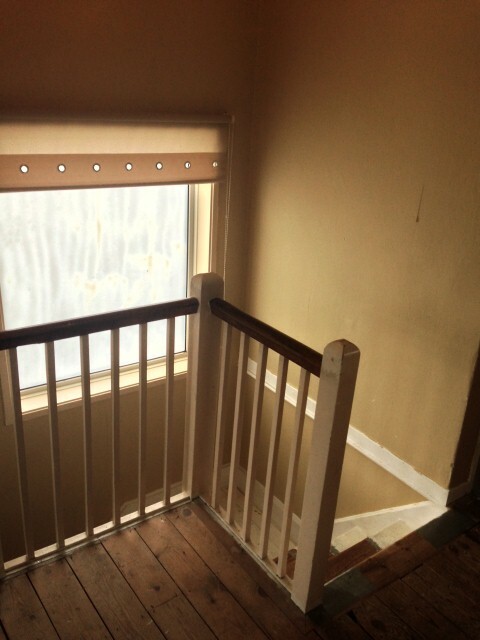 This is probably my favourite feature of the house is the top landing. 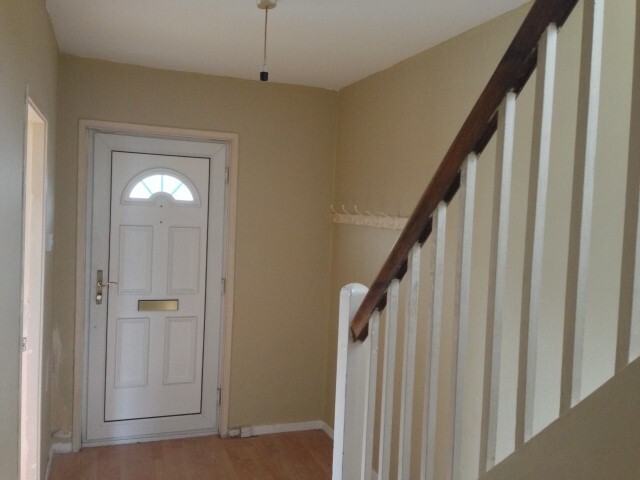 The way the stairs curves round and the banisters after this room has had it’s paint job and been carpeted I think this will really stand out. I also quite like that some of the central heating pips run along under the floorboards so it’s lovely and warm to walk along in the morning! Excuse the photo, this was the first night we moved in and had a blow-up bed… deflated might I add!! We quite like the fireplace, but after buying a few units and got our lovely Oak double bed in there is really little room left to see this.For time being this room is liveable until the more social areas are complete and see what we want to do with this feature. 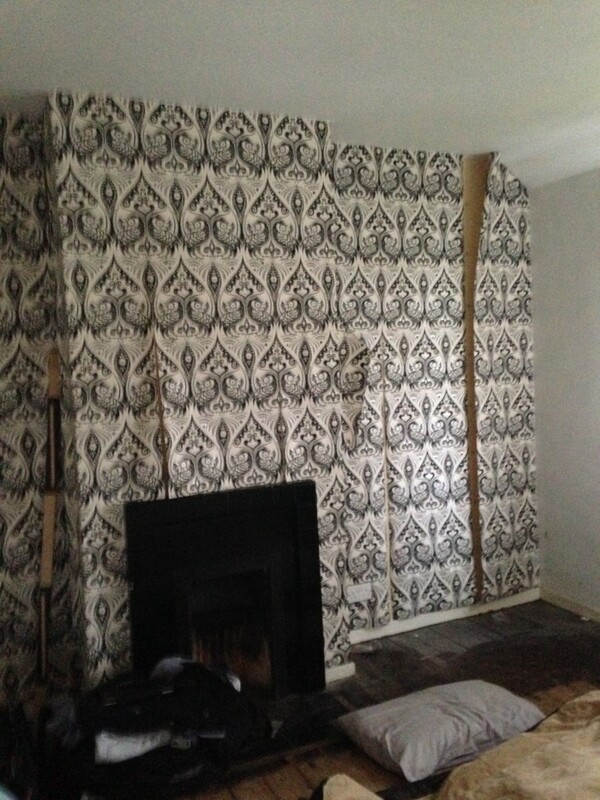 – Again the hideous (not to our taste) wallpaper will be coming down. 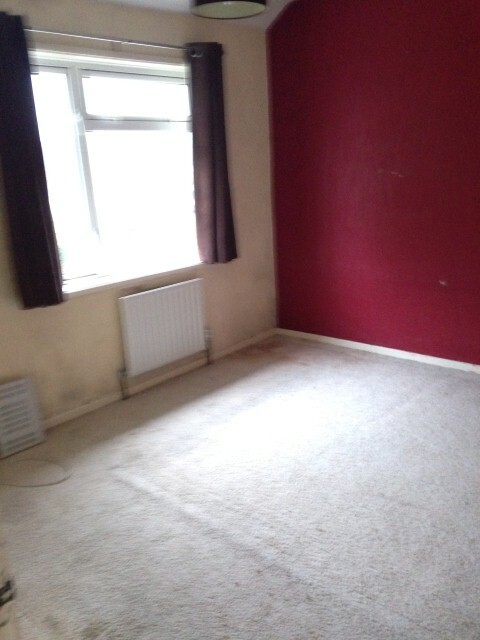 For time being, this will be left as it is, one of the only rooms where it has carpet, or fabric laid over. But we’re using it for storage until we’ve fully unpacked.. which will probably be in two years time knowing me!! AKA my office! – As you can see the windows on the front side of the house need treating/replacing. – Will be done when funds allow. 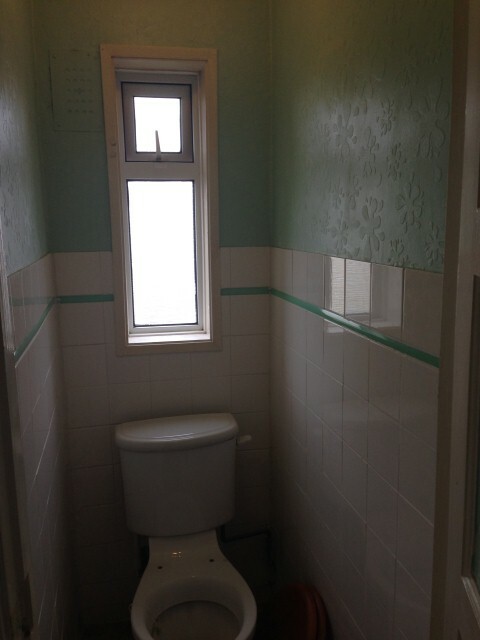 The toilet is in a good condition, just needs a toilet seat to be put on, which as of now I have put one on and looks the part.The tiling looks quote good here, but believe me it’s not.. and you’ll see why when you scroll down. 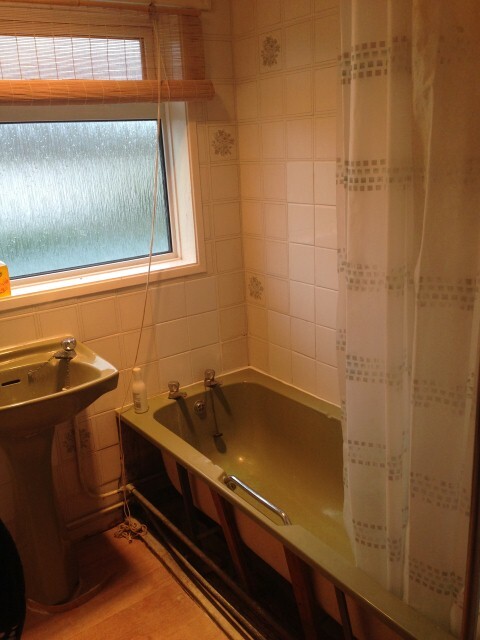 Last but not least… the bathroom, yes that lovely avocado suite which was so huge back in the 1970’s .. maybe? My grandparents had the same colour a long time ago so it must of been popular! 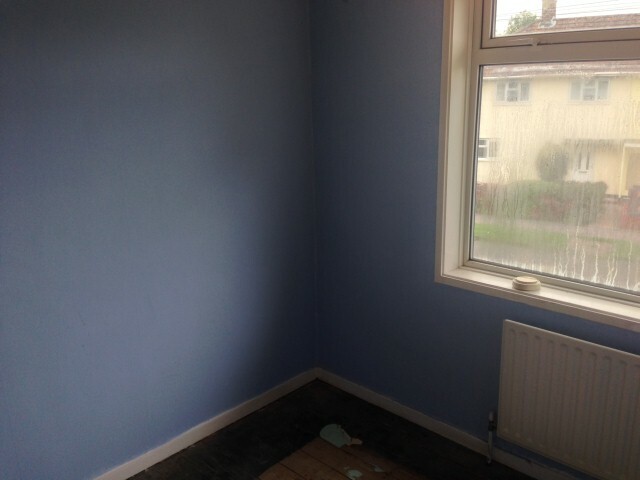 This is the room we’re going to do after we’ve finished the hallway, it’s just not pleasant to have a wash or shower in. 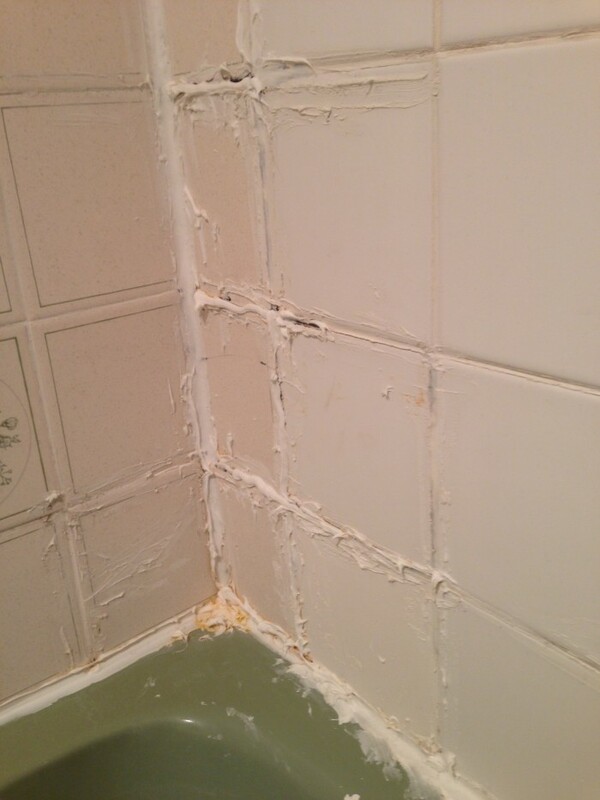 The tiling is ridiculous. Is a Web Designer by profession that has an interest in sports, gaming, films and TV Series. Gavin has a Degree and and Diploma in the design field as well as won best website design in 2004 for UK Skills.